He is 14 inches tall and made of the finest mohair.. 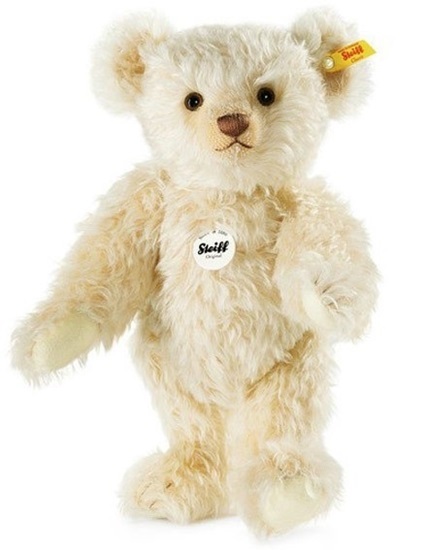 This beautiful teddy is made from the finest blonde colored mohair. He is fully jointed with a brown hand stitched nose and mouth. He has black safety eyes and is surface washable. He comes with the yellow tag, gold plated "button in ear".